Pistons made of alumina ceramic 99.7, Mingrui ceramics are used to convey media ranging from liquid to high-viscosity substances. The ceramic high-performance pistons are also exceptionally well-suited for extreme-pressure applications, such as water-jet cutting. High resistance to wear and optimum sliding properties ensure a long operational lifetime. We supply suitable materials in the required dimensions for all individual applications. Pharmaceutical, food cosmetic industry’s highest hygiene and health standards. Inert chemical stability, acid, corrosion resistance, high temperature. Hard and wear-resistant, particle release is extremely small, long service life. Low thermal expansion coefficient, precise sealing and filling accuracy, achieve cleaning and sterilization online. Al2o3 screw bolt will be packed in a bubble bag individually, then separated by a foam, finally put in standard export carton packing, or OEM packing. 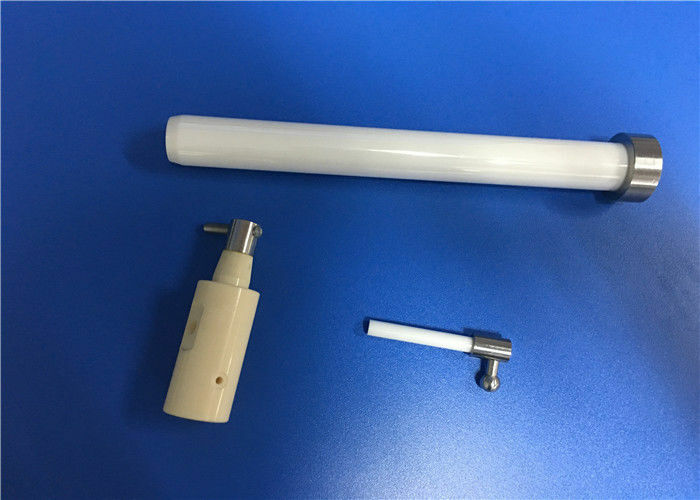 We have very advanced technologies in the production of zirconia and alumina ceramic nozzle, rod, ring, tube, shaft, plate, sleeve, valve, plunger, bearing, and semiconductive ceramics etc.. They are applicable to Electrical, Appliance, Oil & Gas, Energy & Power, Food & Medical, Agriculture, Aerospace,even other High-end fields.